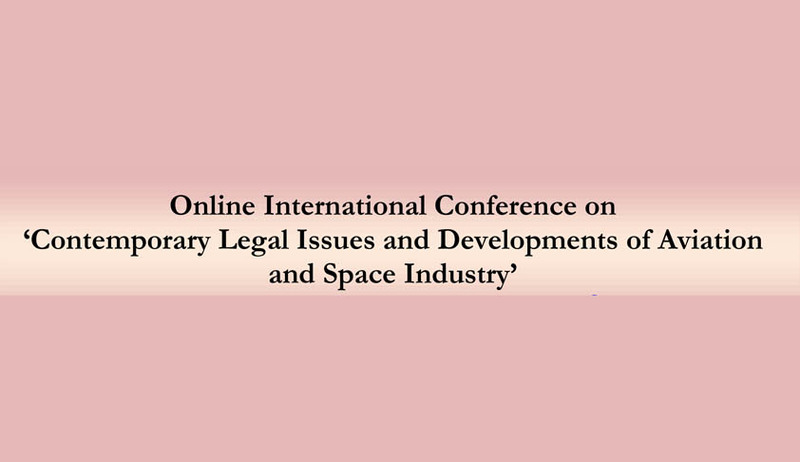 Siddhartha Legal Research Society is organizing an Online International Conference on ‘Contemporary Legal Issues and Developments of Aviation and Space Industry’. This international conference is first of its kind in legal fraternity which is providing opportunity to the young budding scholars from India and Foreign to participate and present their paper with the minimum expenditure and less time consuming. The organization has tried to develop the platform where the paper presenters can present their paper through online video presentation which would be published/presented online and ideas of presenters could be spread worldwide all through the legal fraternity. All abstract [ word limit: 250-300words] shall contain following information’s: Name of the Author, designation, email id and contact no. and full corresponding address for the purpose of sending certificate of participation. All submissions and queries shall be done on following mail id:slrs.onlineconference@gmail.com.